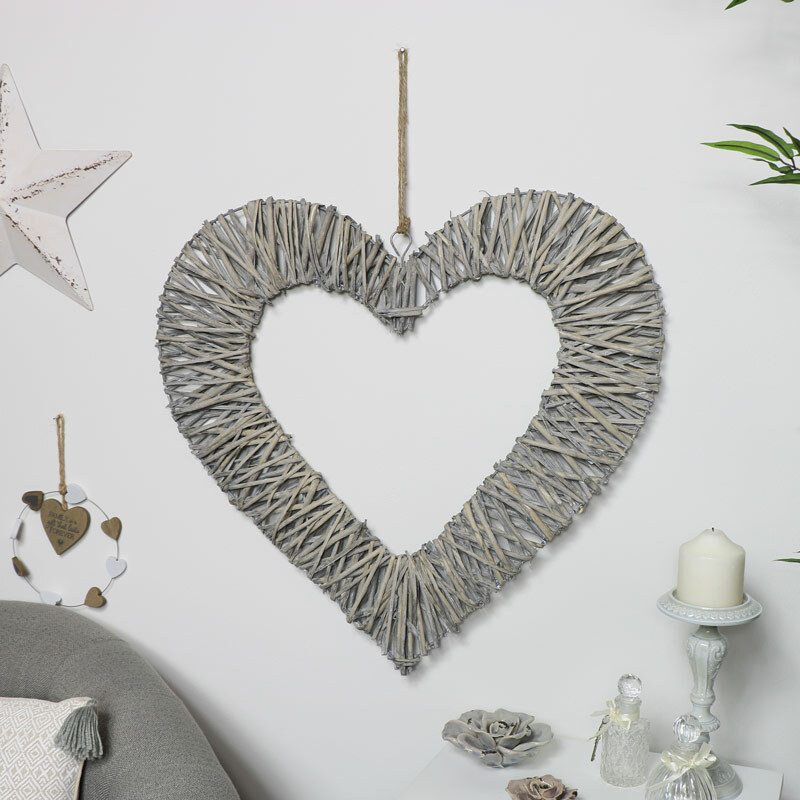 Pretty willow wicker heart in a washed grey colour. Shabby chic wall art decoration for a country cottage style home decor. Great for adding a little love and romance to a room with more heart wall art decorations to choose from. Delightful and pretty, this hearts gives hints of the boho style. Pretty willow wicker heart in a washed grey colour. Shabby chic wall art decoration for a country cottage style home decor. Great for adding a little love and romance to a room with more heart wall art decorations to choose from. Delightful and pretty, this hearts gives hints of the boho style. 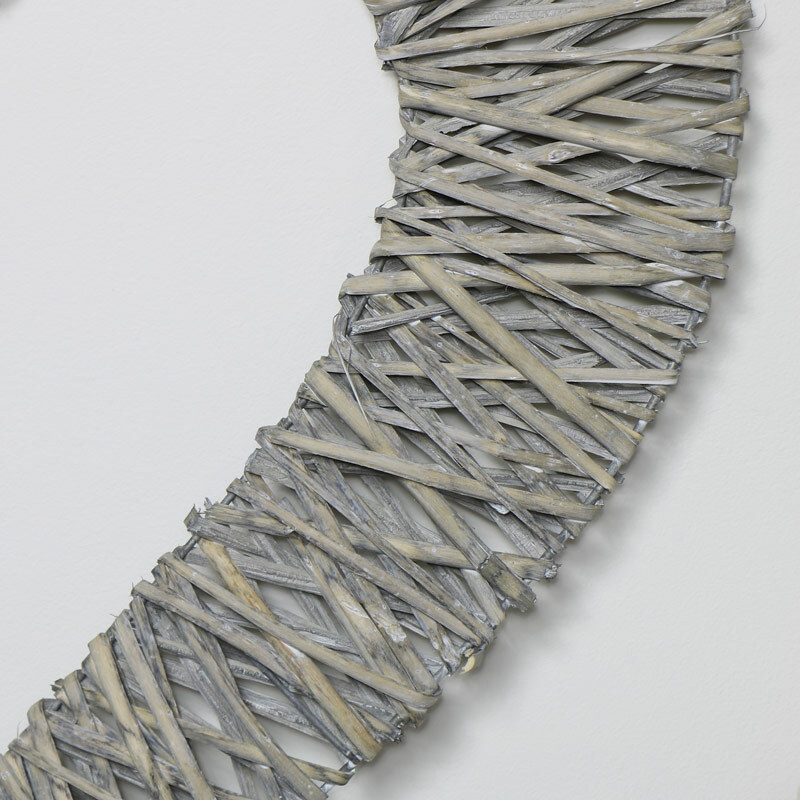 Distressed grey willow wicker shaped into a heart shape around a wire frame. Easily hung from a piece of string.